October 28, 2015 – On Wednesday, November 4, the Laboratory for Atmospheric and Space Physics (LASP) will host a public talk with Sascha Kempf at 7:30 p.m. Kempf will provide an overview of NASA’s mission to Jupiter’s moon, Europa. The mission will place a spacecraft in orbit around Jupiter to perform closes flybys of Europa. Previous missions have provided compelling evidence of a global ocean beneath the moon’s icy crust, which could harbor conditions suitable for life. NASA has selected nine instruments for the mission, including cameras and spectrometers, an ice-penetrating radar, a thermal instrument, a magnetometer, and in-situ mass spectrometers. LASP will provide the Surface Dust Analyzer (SUDA), an instrument to investigate the chemical makeup of Europa’s surface, which may hold the fundamental clues for understanding its potential to develop and sustain life, because materials embedded in the ice matrix on Europa’s surface carry a treasure trove of information about the moon’s interior. Kempf is the SUDA principal investigator and will explain the scientific payload and what scientists hope to learn about the Jovian moon during the Europa mission. Jupiter has 67 confirmed moons, but Europa is one of the four largest. 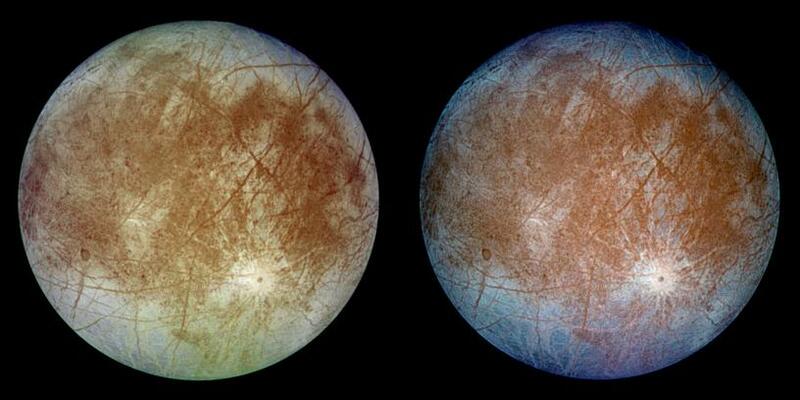 Europa is about 3,160 kilometers (1,950 miles) in diameter, or about the size of Earth’s moon. View the event flier for more information.